Serving as headquarters for the award winning Tempe Sisters Cities, the Historic Hackett House provides a wonderful backdrop which inspires our staff to create programs and events that allows us to participate in and enrich our community. We work toward making the world a smaller, more connected place. Celebrate your gathering or event in a charming atmosphere in the heart of downtown Tempe. Our beautiful historic event spaces and private patio will provide an unforgettable ambiance for any special occasion. We offer education experiences that will encourage youth to appreciate cultural and international diversity as they grow into the leaders of tomorrow, while also raising funds to support Tempe Sister Cites and City of Tempe education programs. 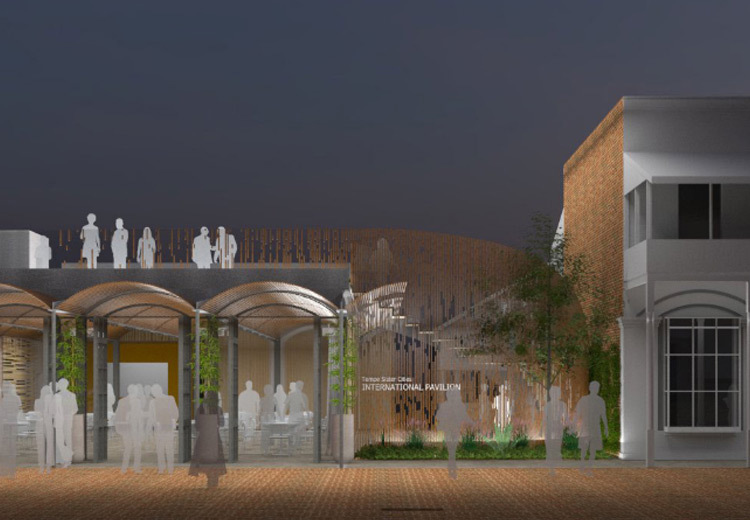 Tempe Sister Cities International Center Capital Campaign is seeking funds to support constructions of a sustainable building on the patio of the historic Hackett House in downtown Tempe. This center will be a multi-use building where international and community events wills strengthen our community by providing opportunities for students and adults to explore and experience diverse cultures and build friendships and understanding with the many different peoples of the world. The Hackett House gift boutique offers whimsical gifts for every occasion—and every budget. Come in to our historic building in downtown Tempe and browse to your heart’s content. Stop by and check out our rotating selections! 913 Tempe high school students have served as ambassadors to one of Tempe’s 11 sister cities. When we add their counterparts some 1826 students have participated in this life-changing experience. Tempe Sister Cities sponsors these exchanges and covers all travel costs for our student ambassadors. Tempe Sister Cities volunteers have produced more than 268 special events…including 45 Oktoberfest Celebrations. In addition TSC has supported more than $1,000,000 in humanitarian aid. 1,563 middle and high school students have participated in Tempe Sister Cities’ annual Young Artist Competition. The competition includes original art, photography, essay and poetry competition. 462 elementary school students have competed in TSC’s annual Geography Bee…held at City Hall. Tempe Elementary Schools is the co-sponsor. 4,710 youngsters (aged 7-12) have participated in TSC’s multi-cultural award-winning program Passport to the World. They learn location, foods, music and dance, arts and crafts and history of a particular country or city in the world. More than 12,650 people have enjoyed afternoon tea at the “Taking Tea at the Hackett” Program. The teas celebrate Tempe’s history just as Sally Hayden, Arizona Territory’s First Lady, hosted teas at her residence, La Casa Vieja, in the 1800’s. 7,792 have attended cooking classes at the “Cuisines of the World” program at the Hackett House. Professional chefs are recruited to instruct. 13,950 sixth grade students have attended the “Around the World in Your Own Back Yard” field trip program at the Hackett House. TSC has exchanged 433 teachers, educators and professionals…and adding their counterparts means 866 adults have participated in these life-changing exchanges. TSC has exchanged fire fighters and police officers with Regensburg and plans similar exchanges with other sister cities in the near future. Educator programs are in place with Regensburg, Lower Hutt, Zhenjiang, Skopje and Trollhattan.